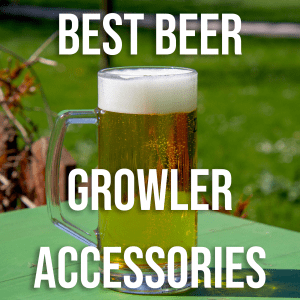 If you’re looking to buy or have a beer growler you might realize it’s convenient to have some accessories to example easier to carry or want a better cap. 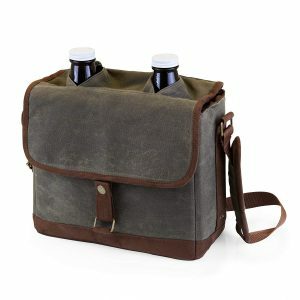 For example, if you have multiple growlers you might want a carrying case that can have up to four beer growlers or just a carry handle to keep the beer cold while traveling. This convenient big bag is made to fit up to four 22 oz beer growlers, so plenty of space and if you’re not using four you can fill up the rest for some picnic. Works great for all types like double-walled, vacuum insulated, stainless steel, glass bottle beer growlers. At the top, it’s zippered with padded divider to keep the bottles safe and cold. Also easy to clean thanks to the Rugged Poly Rip-Stop exterior and interior lining which means it’s each pocket is separated from each other. And a nice touch to have a built-in bottle opener that hangs on the side for easy opening if you have beer bottles instead of a beer growler. Overall the material is excellent and the pad divider is removable if you want. This beautiful brown-green vintage style bag can hold two 64-ounce growlers. The material is made of waxed cotton canvas with faux suede accents, which really shows the old vintage look. It has adjustable shoulder straps so you can easily carry it around and also a flap that you fold over the bag. An interesting detail that I love is that it has two holes for the tall bottles to go through and also has a removable padded interior that divides the two pockets. So you can remove the divider if you want to have more storage when you’re not carrying any bottles. This sleeve gives your beer growler a convenient sturdy handle to use and makes it easy to transport your brew. The material used is an insulating neoprene that absorbs moisture while keeping your beer colder and fresher even longer. Underneath the handle, it’s cushioned and has two zippers. Can carry one 64 oz growler, so if you want a great gift idea for a beer lover this is the one ( or to yourself). Two colors available black and camouflage. This can comfortably hold two of your 64 oz growlers, the diameter for the holes is around 5 inches. Thanks to the open top you have space for other stuff such as ice or cooling packs, so you can keep your fresh brew cold on your ride home for the local brewery. An interesting design feature is that it’s designed to be used with a vehicle’s seat belt so you can securely keep upright it in place when going by car. Made in U.S.A this light-weight 1.3lbs plastic carrier will do its job flawlessly. If you’re looking for a more bag type accessory this is the one. It’s 6 inches wide and 12 inches high and it works great for carrying one 64 oz growler or two wine bottles. To help it be waterproof they have a PEVA seam sealed lining to make sure nothing gets leaked or spilled. Also, has a removable shoulder strap included. There is also some extra space to have some ice to keep your beverage cool when transporting. This sleek bag will have your 64 oz growler sit stable with padded rigid foam for the insulation. The dimensions are 7″W x 12″H x 6″D so there’s plenty of space for one growler with maybe some space for some ice. The included strap is extendable to 3.9 feet. Works great for transporting the beverage and keeping it cold from your favorite brewery bar. This is a snug fit for one 64 oz growler and works great if you are using glass to keep it safe from dents and dings. Included is an adjustable strap and very easy to carry, keep in mind it’s a tight fit. While it’s new it might be a bit tight but after it’s “broken in” it loosen’s up the more you use it. This bag uses a sturdier material, the same as used in backpack material the 600D Polyester. It can fit two 64 oz growlers and has a divider to keep the growlers from banging together. Has an adjustable carrying strap to make it easier to carry but not a carry handle. Made for easy carrying to enjoy your fresh brewed beverage. This accessory is probably only for the DrinkTanks beer growlers, it fits 64oz and 128oz drinktank growlers. But what it does is that it basically turns it into a mini keg, pretty cool. Then you can conveniently pour your own drink with the tube and help keep the beer fresh. It includes a CO2 injector and with two threaded 16-gram CO2 cartridges so you have you refill it with CO2 after a while but it may be worth it. 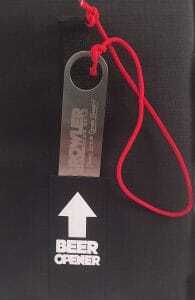 Overall great accessory if you’re a big beer enthusiast. 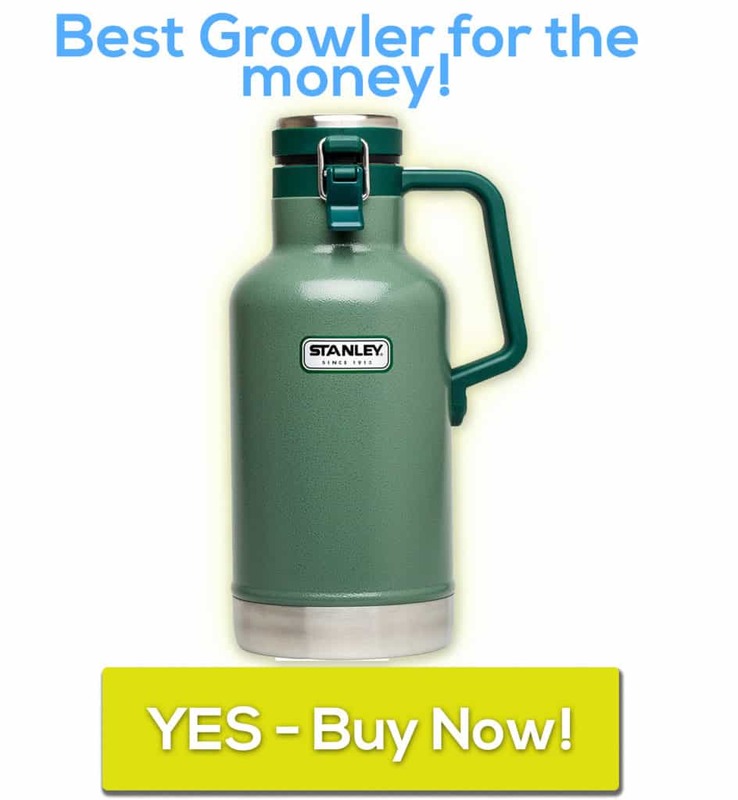 If you wan’t to buy a growler here are my recommended best beer growlers reviews.